All of the midweek games aren't done yet, but none the less, we are ready with the best boot spots from the last few days. There aren't as many as there usually are, but who could possibly mind, when they are of such a high order. Vapor IX has seen the light of day in England and all around Europe the buzz and excitement surrounding the launch is reaching pressure point. 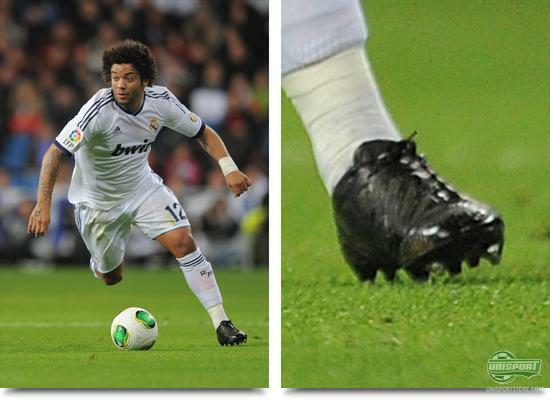 Marcelo (Real Madrid)  Adidas Predator LZ Blackout The Brazilian full back crowned an impressive season with Real Madrid, with a spot on the FIFA team of the year. He has started 2013 with a pair of completely blackoutted boots and we originally thought, that this was down to contract disagreements with Adidas, but now we have come to a different conclusion. In last nights game against Valencia, he did wear the same pair of blackoutted Adidas Predator LZ, but in an earlier training session, we spotted him wearing a pair of equally black boots, but which differentiated from the current generation in key areas. Could Marcelo be in the process of testing something new for Adidas? Isaiah Osbourne (Blackpool)  Nike Tiempo Legend IV ACC Black/Electric Green Blackout In the English cup-games we get a unique opportunity to have a closer look, at what boots the players from the lower leagues use. 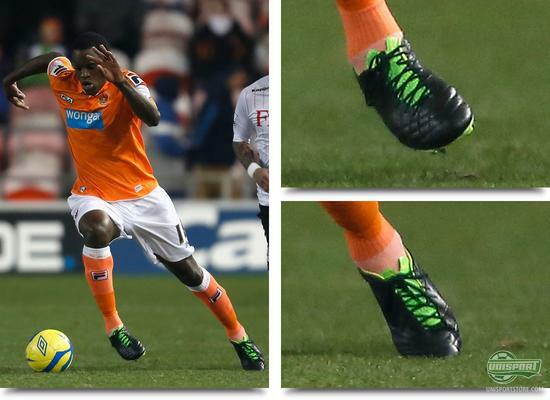 Blackpool, who play in the second best tier, have Mr. Osbourne to thank for a place in our boot spots and he earned the distinct honour, because of his creative work on his Nike Tiempo Legend IV ACC Black/Electric Green/White. He has been handy with the boot ink, to blackout the white Nike swooshs on the medial- and lateral side of the boot, which gives it an incredibly stylish look. What do you say to the former Aston Villa players work? Dean Cox (Leyton Orient)  Adidas F50 Adizero White/Blue We hit the jackpot again, while flicking through yet another Cup-game, when Leyton Orient and Hull clashed. In the lower leagues, the big boot contracts are harder to land and for the most part they have to invest in boots themselves. Dean Cox (Left) has chosen to splash out on a pair of awesome Adidas F50 Adizero White/Blue. A sharp boot, especially when paired with the white Orient-socks. 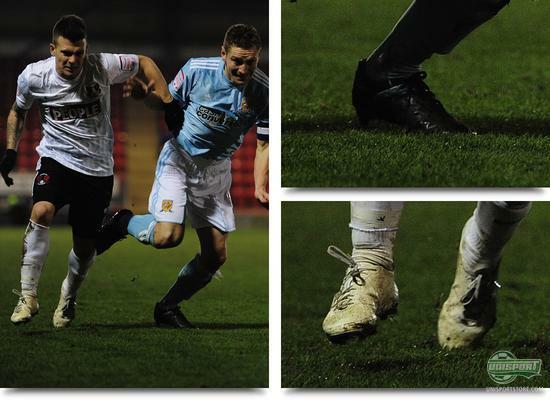 Now we have challenge for you; can you spot, what pair of boots it is, that Andy Dawson (Right) is wearing? We know the answer, but would love to hear if you are just as sharp. Nuri Sahin (Dortmund)  Nike T90 Laser IV ACC Volt/Black/Citron Now it's time for trip to the training-grounds, where currently reigning German champions, have brought their lost long son home. After two underwhelming stays in Real Madrid and Liverpool, the Turk has returned back to the club, where he originally made his break onto the big stage. The team defied the weather gods and as the picture shows, they all displayed their excellent boot taste, in the snow. Lewandowski, Sahin and an unnamed third show off their Nike T90 Laser IV ACC Volt/Black/Citron, that really shines through on the pitch. Theo Walcott (Arsenal)  Nike Mercurial Vapor IX The English attacking-ace has been a popular man in this transfer window, as he is trying to decide, whether he should continue with The Gunners, or start looking for a new place to bang in the goals. 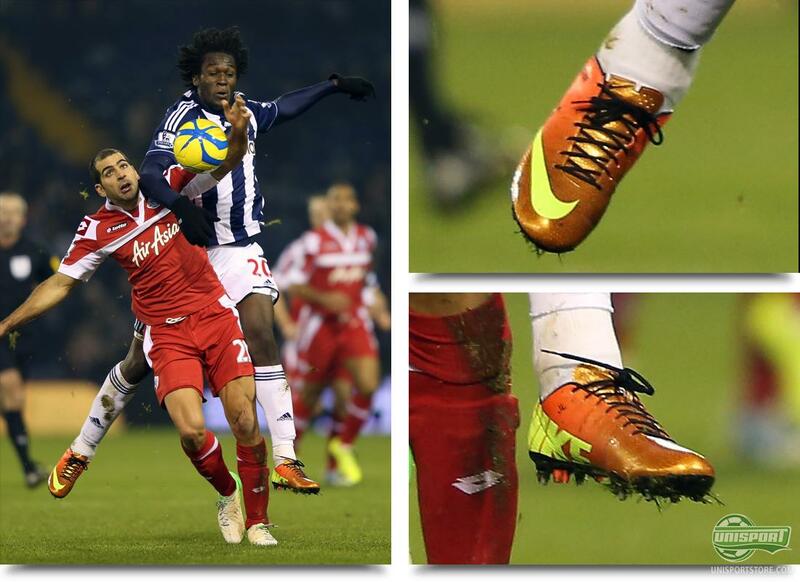 So far all he has changed is his boots, when we spotted him training in the not yet released Vapor IX. Walcott was part of the infamous #GS2SQUAD, but he never used his exclusive boots in action. 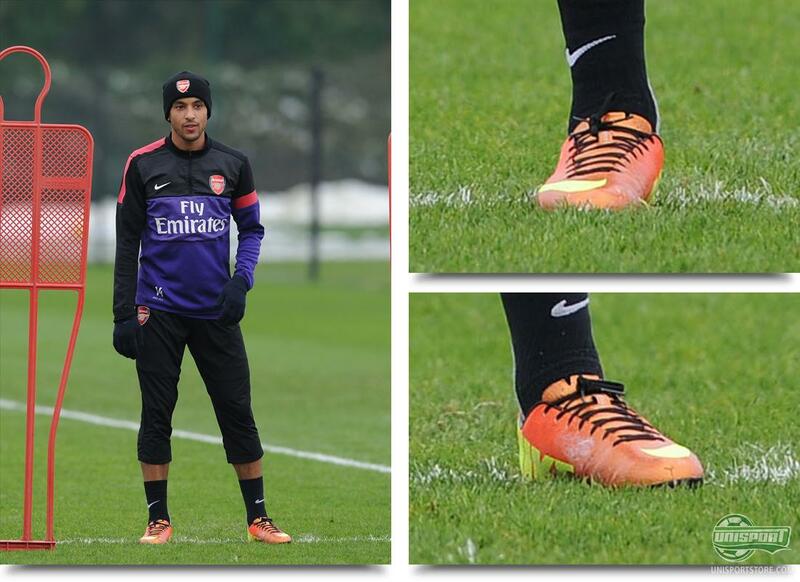 He looks to be more fond of his new Vapor IX, that we hopefully will be seeing him take to the field in very soon. Romelu Lukaku (West Bromwich)  Nike Mercurial Vapor IX There was still one Premier League player for whom the temptation was too much, as he gave his pair of Vapor IX their début. The Chelsea-owned striker has had a very successful stay at The Hawthorns, where he has been knocking in the goals in constantly changing boots. He has been switching between a pair of custom Nike T90 Laser IV and Vapor VIII, but now it looks like, the Belgian has found the pair for him  and what a choice too. The new Vapor IX are painfully close to being launched and with a colourway like this, it is no wonder the wait has been so unbearable. It was quality over quantity in this round of boot spots, but we still think, we got round quite well and found one or two blockbusters. Are you ready for the launch of the Vapor IX? What are your thoughts on the spots above? Did we miss anything? Share your comments in the box below.